Los Angeles, CA’s Weezer have released another taste of their forthcoming eleventh album, Pacific Daydream, released on Crush Music/Atlantic Records on October 27th, 2017. The song – a brilliant, hyper-melodic slice of alt pop entitled “Beach Boys” – can be streamed HERE and via YouTube HERE. “Beach Boys” follows lead track “Mexican Fender,” as well as the album’s first single, “Feels Like Summer,” which hit #1 at Alternative Radio. 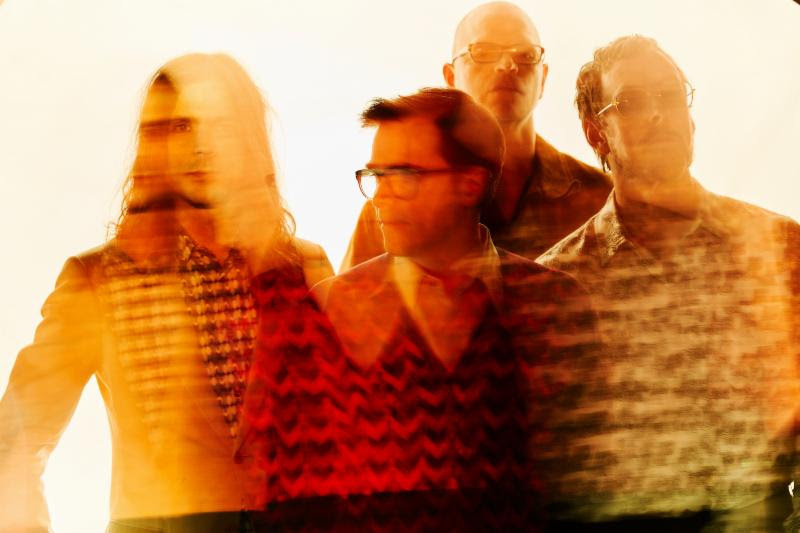 Produced by Butch Walker, Pacific Daydream is the follow up to the critically acclaimed album Weezer (The White Album), which was nominated for a Grammy for Best Rock Album at the end of last year. A track listing for Pacific Daydream is below. Once upon a time, I, Chuang Chou, dreamt I was a butterfly, fluttering hither and thither, to all intents and purposes a butterfly. I was conscious only of my happiness as a butterfly, unaware that I was Chou. Soon I awaked, and there I was, veritably myself again. Now I do not know whether I was then a man dreaming I was a butterfly, or whether I am now a butterfly, dreaming I am a man. Pacific Daydream – an album full of the melodic mastery and craftsmanship for which Weezer are known – is a record that navigates the uncertainty between reality and dreams, blurring the line between the listener knowing if they are daydreaming the world of the album, or if the world of the album is daydreaming them. It’s a record about finding the gray area between the black and the white, about escaping the everyday into the fantasy of what may be just down the line, but also maybe isn’t. It’s an album that sounds like the Beach Boys and The Clash fell in love by the ocean and had one hell of an amazing baby. It’s Weezer doing all the things they do best and then some.